200 years ago, Lake Erie was the site of a famous battle and decisive victory against the British during the War of 1812. 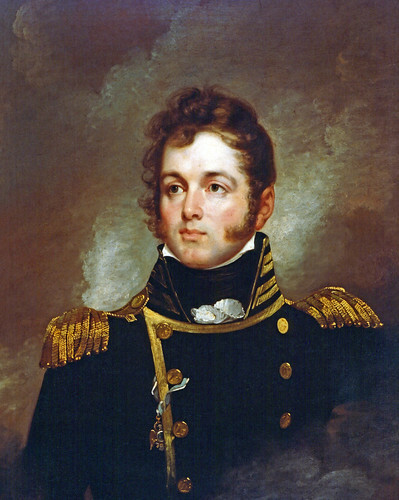 Led by US Navy Commodore Oliver Perry, a fleet of 9 ships and 557 crew prevailed against the British near Put-in-Bay, Ohio in September 1813. To commemorate the victory, the tall ships are traveling to ports along Lake Erie for the two-week bicentennial celebration beginning Labor Day weekend and concluding Sept. 10, 2013. Final ports of call are still being decided but will most likely include Port Clinton, Catawba Island and Put-in-Bay. Find out more here. This is all to say, make plans now for the celebration. I’m going to feature just a few of the B&Bs that I know a little something about. 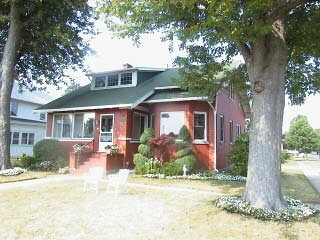 There are tons more places so be sure to check out TripAdvisor or the Port Clinton B&B Association for recommendations. 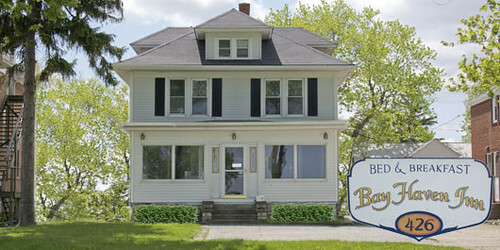 The Bay Haven Inn overlooks Lake Erie on Perry Street in Port Clinton run by Innkeeper Dave Hermes. You can sip his secret coffee brew and enjoy a fabulous breakfast on an enclosed porch with wonderful views of the lake and waterfowl. Within walking distance of the Jet Express ferry to the Lake Erie islands, Ed and Vickie Heinsin offer guests some unique experiences at The Marshall Inn. A Port Clinton native, Vickie offers a delightful ghost tour and has published a book on local ghost lore. My husband stayed in the Battenberg Inn’s efficiency when he started his job up here. Just a block from the Lake Erie shore, innkeepers Allen and Barb offer kayak excursions to their guests. There are some other B&Bs up here that look wonderful, including the Five Bells Inn and the Sunset Place. There are tons of places on the islands, and I know a few options. Both Put-in-Bay and Kelley’s Island have state parks along the water. And I’ve been in the Water’s Edge Retreat, run by Elizabeth and Tim Hermes (parents of innkeeper Dave Hermes). It’s a gorgeous new inn built in Victorian style, right along the water, complete with an orchard and fabulous breakfasts. For other island options, check out TripAdvisor for Kelley’s Island and Put-in-Bay. Great post! We are certainly expecting a lot of visitors to the Shores & Islands region this year for the Bicentennial. You can also find lodging options, packages, and discounts at http://www.SHORESandISLANDS.com – we even have a Bicentennial events calendar to help plan your activities! How do the ships get on Lake Erie? Are they built there and kept there? Can’t wait to make it up north to frolic in your lake, drink your Catawba Island beer and salute your tall ships. Good questions about the tall ships. I know they will sail here. As to what they are, I wasn’t sure myself and it’s not entirely self-evident from my searches. 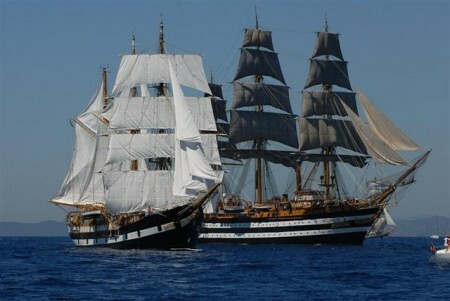 It appears that the tall ships are modern replicas of 17th and 18th century-style ships with traditional rigging. You may recall that the HMS Bounty, one of the Tall Ships, sunk during Hurricane Sandy last year. Several of the Tall Ships have been invited – there’s a list here with the Cleveland Tall Ships Festival, http://www.clevelandtallships.com/tallships/invitedships/. As I understand it, people will be able to get on board the ships and those lucky enough to have their own boat can follow the Parade of Sail.